In the spring I put together a talk and an article about four tools of character training: curricula, the Bible, real life stories, and our own example. 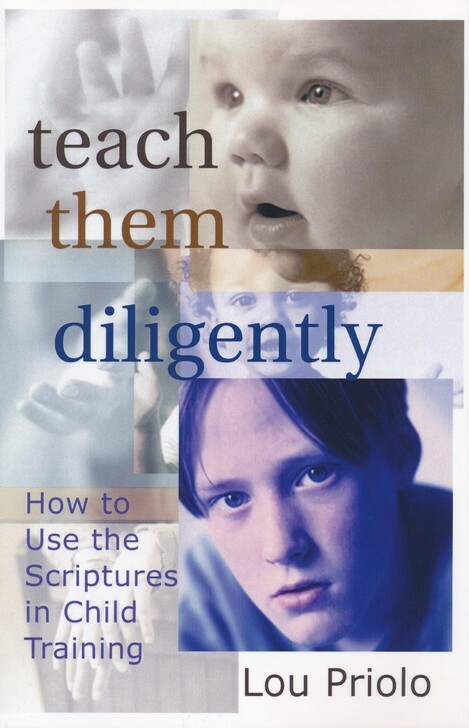 As I was seeking to explain how to use scripture as a tool of character training, I was very glad when I came across the book by Lou Priolo, Teach Them Diligently; How to Use the Scriptures in Child Training! Mr. Priolo does a great job explaining why scripture is so important to teach our children and giving ways to do that. Doctrine shows us God’s way. Reproof shows us how we’ve gotten off the right path. Correction shows us how to get back on God’s way. Instruction in righteousness teaches us how to stay on the right path. I felt that God had given me that insight about this verse. Imagine my excitement when I found that Mr. Priolo saw the same progression and gives great wisdom in his book about how to apply that to raising children (i.e. character training)! Like Mr. Priolo, we believe that the Bible is the inerrant, inspired word of God, the final authority for all truth and practice. He addresses teaching your children the Scriptures (doctrine), convicting and correcting them with scripture (reproof and correction) and training with scripture (instruction in righteousness). He talks about how the rod is not the only tool of discipline, that there is often much more that needs to take place and be dealt with other than the initial infraction. There is a chapter about learning to use life’s instruction manual, with many great ideas about applying the truth of 2 Timothy 3:16 to your child training that I wish I’d had 30 years ago! Also in case that isn’t enough to make you interested in this book, there are also appendices offering scripture texts for child training, questions that help bring conviction, projects in Proverbs, and more. We wanted our children to grow up knowing that they were accountable not just to us, but also to God. There comes a time when a parent is no longer responsible for what the child does. We wanted to prepare them for that time, so that they would have a foundation of scripture, know what God thinks about things, and have a Christian worldview—the glasses through which they view life, so to speak. I believe that Teach Them Diligently is an excellent tool for parents who have these same goals for raising their children. Mr. Priolo helps parents understand why teaching these truths is important and necessary, and then he give suggestions and ideas about how to approach this very daunting task.